I’m part of a Jon Acuff group called 30 Days of Hustle. In this group, we receive assignments to help us accomplish our goals. My goal for 2014 is to become more positive in my thought life and my approach to life. 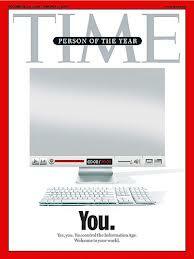 Our assignment today was to write a Time magazine article about our life after we accomplished our goal. This is my entry. I hope you enjoy! With her infectious smile and hearty laugh, Song sits down with me at her favorite coffee shop. We talk freely for a few moments, and it only takes that long for me to realize this is a woman who loves life. She wears her smile like a uniform. I ask her how she stays so upbeat. Her answer surprised me. “Practice. It took me practice to be the bright, cheery person you see before you. At one time, I was utterly depressed, and as Mindy Kaling once wrote, tedious. 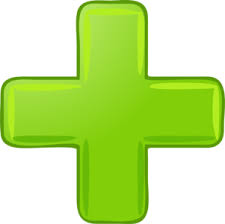 I was on anti-depressants and saw a counselor regularly. I was almost to the point of suicidal. I was completely unhappy with myself and the state of my life. In 2014, I decided for my New Year’s resolution that I would try to become more positive. I posted notes everywhere, reminding myself to think positive. I began to read comedic authors to provide some light-hearted moments. And most importantly, I focused my journal entries on positivity. My journaling focused on the three T’s: Thanksgiving, Truth, and Traits. Each day, I wrote five things I was thankful for, three biblical truths about what God says about me, and five positive traits that I have. By the end of 2014, I felt totally different about life and myself. It trained my brain! I still practice this regularly, although not every day. I keep polishing away at what the year 2014 did for me. Heck, I was actually able to stop taking the anti-depressants. Hallelujah! The first fortune cookie I opened in 2014 spoke to me, and I would like to share that with you. “If the world seems cold, kindle a fire to warm it.” My world seemed cold, and I needed to warm that fire. The 2014 journal experiment did just that. My heart and mind were warmed to just what a wonderful blessing this life is! Now, I’m on fire! For some reason, as I start this post, I feel like I’ve already written something similar to this once. I write my blogs mostly for me because I need to remind myself what I’m trying to do. I’m trying to find financial peace. For me to do this, I must remain positive. I have to keep my finances positive. I have to have more income than I do bills, and I have to increase the debt-to-income ratio as quickly as possible. I’ve made remarkable strides in how I manage my finances. I still have a long way to go, but I am improving. I continuously ask the Lord to help me change the way I think about spending and saving. I want Him to help me understand that it’s His money – not mine. Last year, I posted 13 goals for 2013. This year, I won’t do that. I have only one goal this year. I want to be more positive. I want to be positive in my finances, and I want to be positive in how I think about myself and others. One of the greatest barriers for me in relationships is my attitude. I still have plenty of growth to experience in my emotions. I am not great at taking my thoughts captive (2 Cor 10:5). That is yet another prayer of mine. Many times, I allow a thought to run amok until it frustrates me. This is not healthy and will not allow me to succeed in life. Dave Ramsey talks consistently about how we need to tell our money what to do. That is so true. We also need to tell our thought life what to do. We shouldn’t be ruled by our thoughts; we should rule our thought life. Now, I am not quite sure how to manage this, but I’m on a quest to learn this year! I know that we can ask the Lord to help us. We can declare our thoughts based on His Word. That is where I will start. Please feel free to share your thoughts on how I can remain positive in this world where it’s far too easy to focus on the negative! So, my goal for 2014 – to be positive. And I’m positively sure I can do it because the Joy of the Lord is my strength (Neh 8:10), and I can do all things through Christ who strengthens me (Phil 4:13).